A lawyer has a duty not only to be a zealous advocate in court, but also to give you a realistic assessment of your case. A lawyer must abide by a client’s decisions regarding the objectives of the representation and must consult with the client as to the means by which those objectives are to be pursued. In a criminal case, after consultation with the client, a lawyer must abide by the client’s decisions regarding certain fundamental issues such as to the plea to be entered, whether to waive a jury trial, and whether the client will testify. There’s more to the practice of law than merely showing up in court. A lawyer has to be prepared on the facts as well as on the law. He has to talk to the witnesses, go out to the scene, and hear or see it for himself. He has to know the prosecutors and the judges and what they’re likely to do. It’s an adversarial system. No one is there to do you any favors. Whether your goal is to settle a case or to take it to trial, you need an aggressive trial lawyer. At the end of the day, the question for both sides is what’s a jury likely to do. The prosecutors know their enemy; they know whether a lawyer is capable of trying a case. Even if your goal is to settle, it is thorough preparation and the realistic threat of trial that produces results. Make no mistake, in this business, experience makes a difference. No one gives you anything. Nothing’s free. No one is going to do you any favors. Here in Oregon, judges know the lawyers who appear before them. Prosecutors know the reputations of their opponents. Your lawyer has to have the skill and experience to try a case to a jury, and the prosecution has to know it. We work as a team, keeping in mind that the whole is greater than the sum of its parts. Each of us comes from a unique place in life – vastly different educations, work histories and life experiences. We bring all of that to bear in a focused, thorough and disciplined way, with one goal in mind: to produce the best possible results. A criminal conviction, whether a misdemeanor or a felony, can have devastating consequences in a person’s life. Beyond the exposure to probation or a jail or prison sentence, and beyond the financial penalties, a criminal conviction has the potential to affect virtually all aspects of your life: your livelihood, your status with professional boards, the ability to be licensed or bonded, your ability to drive a motor vehicle, even your ability to rent an apartment. 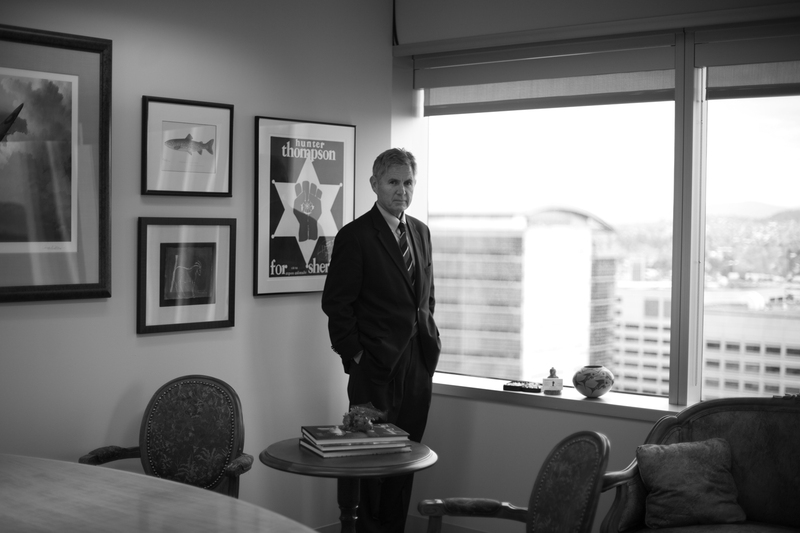 We handle all types of cases all across the state of Oregon, in both state and federal courts. No case is too small. No case is too big. Your case is important to you, so it’s important to us.